*All sales are final. Items are sold as is, where is, with no guarantees. *Payment accepted: Cash and Credit / Debit Cards ( Visa, M/C, AMEX, DISC - 3% surcharge will be added to total purchase amount). *Please bring help if purchasing large items. We may not always have someone to assist you. *Please bring boxes / wrapping materials - we try to have some available, but run out quickly! 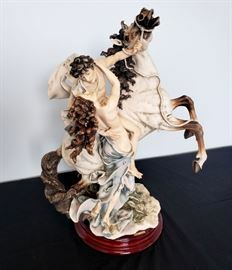 #1 - Giuseppe Armani / Florence Sculture d' Arte "Aurora - Goddess of Dawn" #680 sculpture - limited edition 60/1500. Hand signed by Giuseppe Armani. 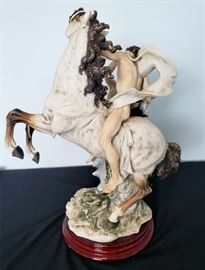 #2 - Giuseppe Armani / Florence Sculture d' Arte "Liberté" #903 sculpture - limited edition 2318/5000. 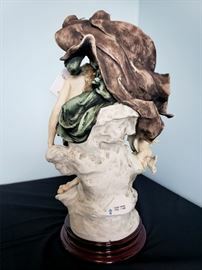 #3 - Giuseppe Armani / Florence Sculture d' Arte "The Embrace" #1011 sculpture - limited edition 506/3000. Hand signed by Giuseppe Armani. 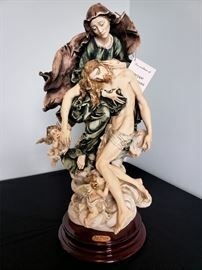 #4 - Giuseppe Armani / Florence Sculture d' Arte "La Pietà" #802 sculpture - limited edition 788/5000. #5 - Giuseppe Armani / Florence Sculture d' Arte "The Cheaters" #3280 sculpture. #6 - Giuseppe Armani / Florence Sculture d' Arte "Grand Jeté" #518 sculpture. 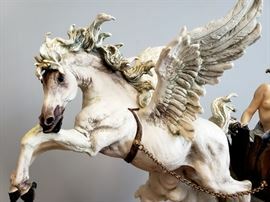 #7 - Giuseppe Armani / Florence Sculture d' Arte "Falconer" #224 sculpture - limited edition 118/3000 hand signed in pencil. 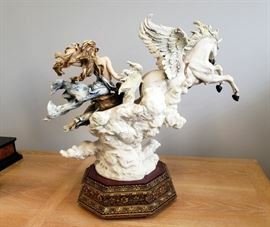 #8 - Giuseppe Armani / Florence Sculture d' Arte "Tropical Splendor" #288 sculpture - Artist Proof from limited edition of 1500. 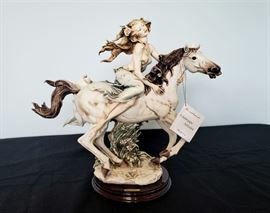 #9 - Giuseppe Armani / Florence Sculture d' Arte "Ariel" #1257 - from Disney's The Little Mermaid. Limited edition 1385/1500. 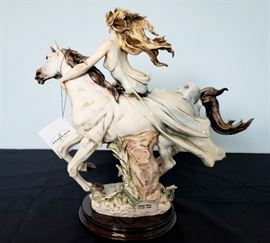 #10 - Giuseppe Armani / Florence Sculture d' Arte "Beauty and The Beast" #543 - from Disney's Beauty and The Beast. Limited edition 1822/2000. Hand signed by Giuseppe Armani. #11 - Giuseppe Armani / Florence Sculture d' Arte "Cinderella" #738 - from Disney's Cinderella. Limited edition 226/500. Hand signed by Giuseppe Armani. #12 - Giuseppe Armani / Florence Sculture d' Arte "Jasmine and Rajah" #410 - from Disney's Aladdin. Limited edition 1174/1200. Hand signed by Giuseppe Armani. #13 - Giuseppe Armani / Florence Sculture d' Arte "Pinocchio and Geppetto / A Father's Love" #543 - from Disney's Pinocchio. Limited edition 867/1075. Hand signed by Giuseppe Armani. #14 - Giuseppe Armani / Florence Sculture d' Arte "Briar Rose" #106 - from Disney's Sleeping Beauty. 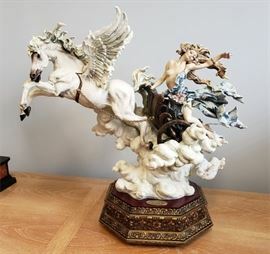 #15 - Boehm "Road Runner with Horned Toad" #493 2 piece porcelain sculpture - It can still be purchased from the Boehm Showroom for almost $1,800!